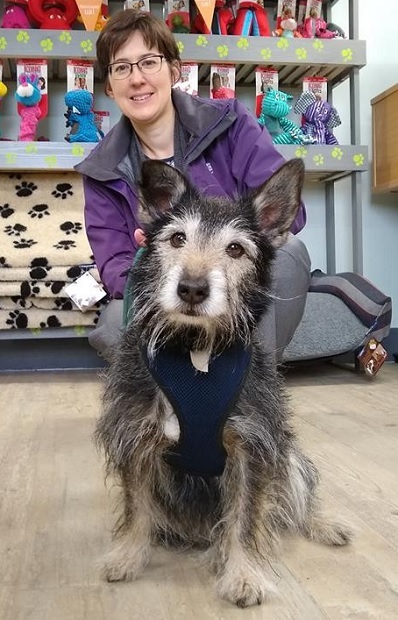 5/3/19 – Bertie is in a home with a view to adoption. 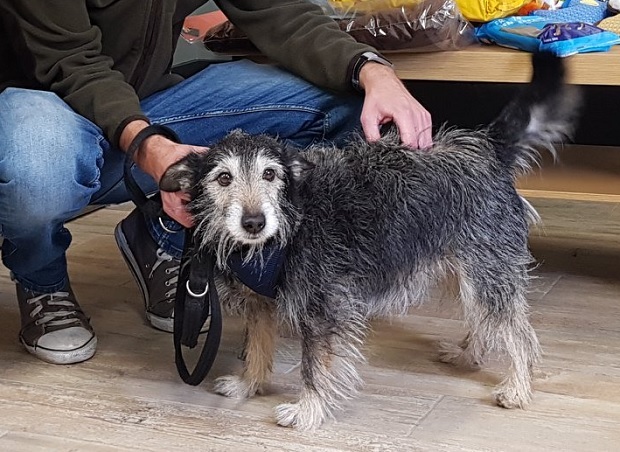 Bertie is a lovely Terrier crossbreed, aged around 7, who is at Jerry Green Dog Rescue in Thirsk, North Yorkshire. Bertie is a friendly boy who is very cuddly, in fact he will paw you to give him more cuddles. 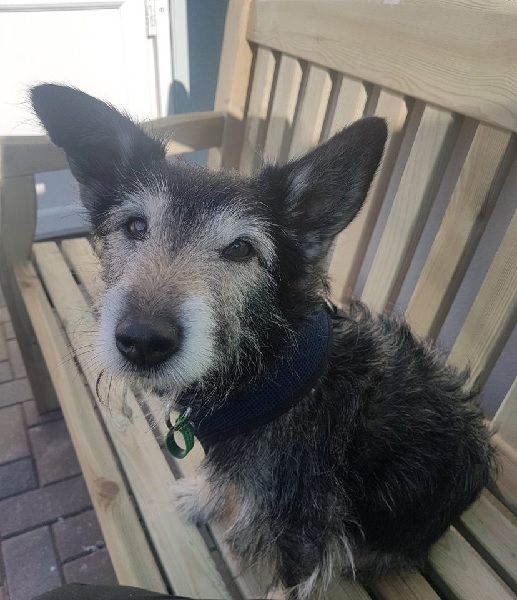 Bertie is looking for a quiet home where he won’t need to be left on his own, while he gradually learns to be left alone for short periods. Bertie needs a home where there are no children around. He gets on with some small, female dogs, so could potentially live with one if he liked her when she visited him at the rescue. He can be worried by other dogs when out though. Bertie enjoys going out for little walks and is very gentle on the lead. Bertie is housetrained and travels well in vehicles. 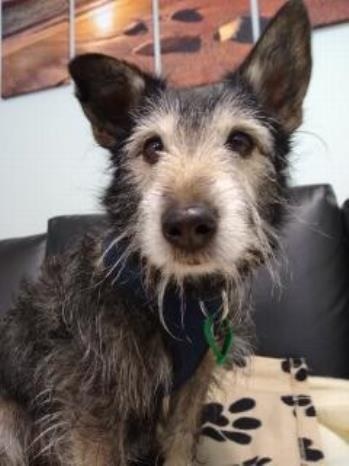 Could you offer Bertie a quiet home and companionship? Please mention that you saw Bertie on the Oldies Club website.